A crossed letter or cross hatched letter, sometimes referred to as a crisscross letter, is a 19th century style of hand-written message where a page is filled and then turned and resumed with lines running at right angles. The purpose is to save paper, which could be scarce and to economize on postage. Not to be confused with a palimpsest. 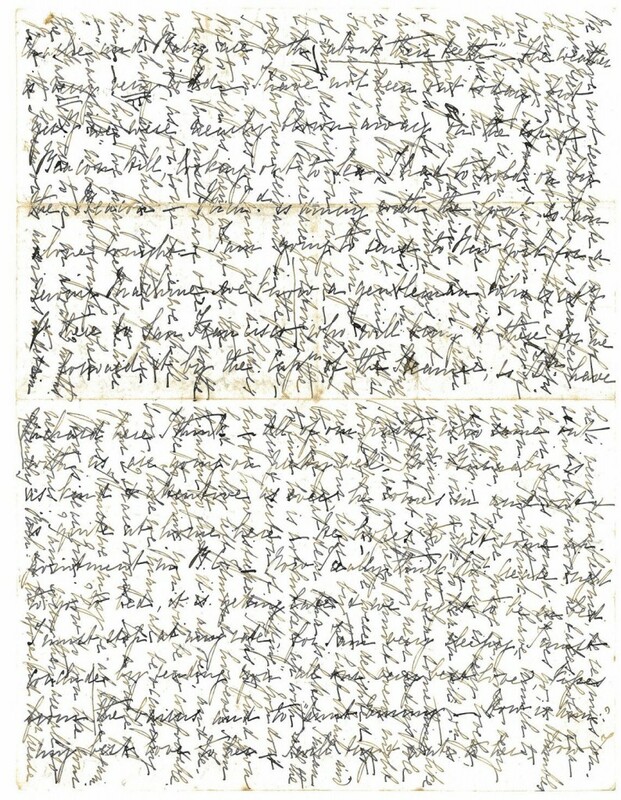 Crossed letter written by Mary Susanna Moody to her mother, 18 February, 1859 from Victoria, Vancouver Island. BC Archives Moody family fonds, MS-0060 / file 1.